The Australian anthrax belt redefined using ecological niche modeling. Red areas define the extent of the anthrax belt, while khaki areas define regions, with few or no confirmed outbreaks in the historical record, which are predicted to potentially support the survival of B. anthracis. Source – ResearchGate. ABOUT 350 sheep have been confirmed as dying from anthrax at a central west New South Wales property, prompting biosecurity measures by the state’s Department of Primary Industries. NSW Department of Primary Industries and Local Land Services have been advised that 350 sheep, at a property in the state’s central west region, have died from anthrax, a NSW DPI spokesperson said. Central West Local Land Services are managing the situation in conjunction with the landholder and biosecurity directions have been issued restricting animal movements, vaccination of stock, carcase disposal and decontamination, the spokesperson said. NSW media reports referred to the outbreak occurring on a Nyngan district property. The NSW DPI spokesperson said anthrax occurs sporadically in NSW, usually in the central ‘anthrax belt’, which runs through the centre of the state and into Victoria. It is an acute infectious disease, caused by the bacterium Bacillus anthracis which strikes suddenly and can affect sheep, cattle, horses, pigs and many other animals. 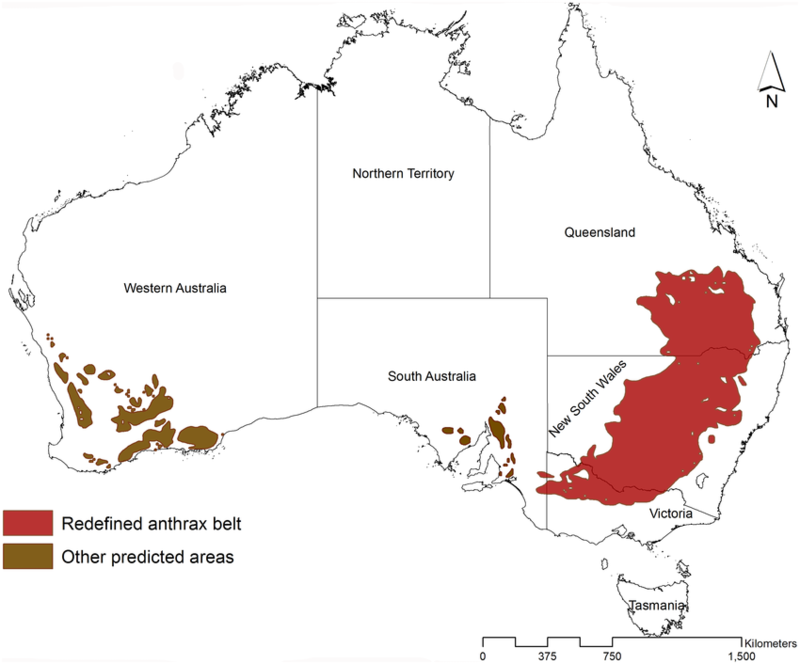 Australia’s ‘anthrax belt’ was also recently redefined to include areas of central southern Queensland. The NSW DPI spokesperson said there is an increased risk of anthrax when feed is short and animals are grazing close to the ground. It is strongly recommended that at-risk livestock be vaccinated annually against anthrax. Anthrax is a notifiable animal disease under the Biosecurity Act 2015. Any suspected cases should be reported to Local Land Service on 1300 795 299 or DPI on 1800 675 888. Anthrax occurs throughout the world. Outbreaks can vary from sporadic cases to epidemic proportions depending on soil, climate and degree of contamination. In Australia, outbreaks occurs most commonly in New South Wales in the anthrax belt from Moree and Walgett down to the Victorian border from Corowa to Deniliquin. In Victoria, outbreaks have occured mainly along the Goulburn and Murray rivers. An outbreak has also occurred in West Australia. There was one isolated incident in Queensland on the Marlborough peninsula in 1994. There have also been cases of anthrax near Dirranbandi in February 2002, in March 2017 and in July 2018. There was also further occurrence near Wandoan in 2002, originating from Dirranbandi.